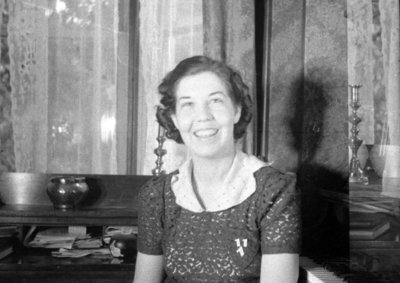 A black and white negative of an unidentified woman sitting in front of a piano. Unidentified Woman, c.1936, Marjorie Ruddy. Whitby Archives A2013_040_141C.